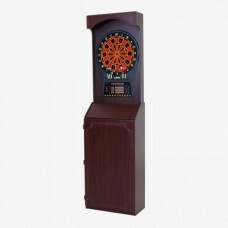 Turn your rec room into an arcade with this Arachnid Arcade Style Cabinet with Cricket Pro 650 Electronic Dart Game. 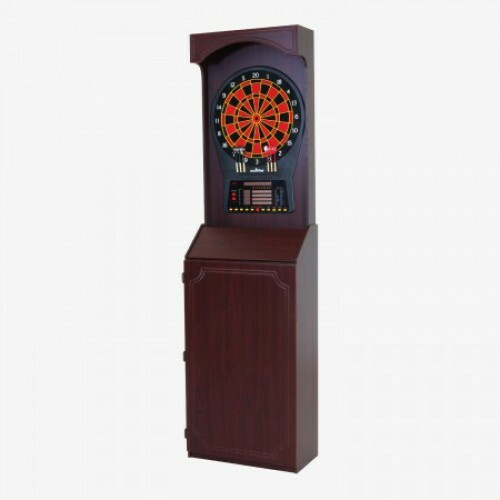 This freestanding cabinet with Bullshooter logo houses the feature-packed CricketPro 650 Electronic Dart Game, which includes a regulation 15.5" target area and 24 games with 132 options, including 5 cricket games. The cabinet has convenient storage with shelves for all of your darting accessories. Assembly required. Dartboard accessories included.